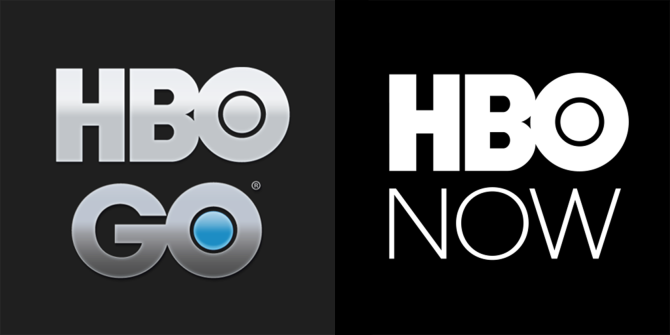 HBO NOW vs. HBO GO: What Are the Key Differences? HBO is the first cable network to really embrace streaming as a “valid” way to watch television, and when compared to the many media streaming services currently available Cut the Cord Forever With These 15 TV Streaming Channels Cut the Cord Forever With These 15 TV Streaming Channels Cable TV is in decline, as the internet provides cheap, on-demand entertainment. Here are 15 of the best TV streaming services to help you cut the cord. Read More , HBO provides some of the best value around. For a while, the only way to get HBO access was through a cable TV subscription, which could easily cost anywhere from $50 to $100 per month, but now HBO offers a streaming-only option and it can save you a whole lot of money Considering Canceling Cable? The True Cost of Cutting the Cord Considering Canceling Cable? The True Cost of Cutting the Cord When you add everything up, do you really save money by cutting the cord? We do the math involved with cancelling cable in favor of Internet services. Read More . Status: Still confused by the HBO “Now” vs. “Go” nomenclature. Feels like there should a third app called “HBO Go Now”. HBO actually offers two streaming options. The first is HBO NOW, which is a standalone digital subscription that you can get if you don’t have cable TV. The second is HBO GO, which is freely included as part of all cable TV subscriptions with HBO. Both HBO NOW and HBO GO have full access to HBO’s entire library of TV shows and movies, including live playback as new episodes air. HBO NOW costs $15 per month and can be purchased through these service providers. HBO GO costs varying amounts depending on the cable TV provider and any discounts that may be in effect. For me, HBO GO is about $10 per month. It’s a great deal in the grand scheme, so if you have room in your budget, grab one of these awesome media streaming devices The 8 Best Devices for Streaming Movies to Your TV The 8 Best Devices for Streaming Movies to Your TV There are several ways to stream media to your TV, and deciding which way is right for you can be overwhelming. Let us help you explore what's currently available. Read More and think about an HBO NOW subscription. Do you use either HBO NOW or HBO GO? How do you like it? Tell us your thoughts in the comments below! Explore more about: Internet TV, Media Streaming. HBO Go is available on Roku as well.